This wonderfully moving novel was 10 years in the making and was well worth the wait. Doerr has won many awards over time, including the Pulitzer Prize and Andrew Carnegie Medal for Excellence in Fiction for this historical novel. It was also a National Book Award for fiction finalist. The novel is set in World War II era Europe and follows the lives of two children, Marie-Laure, a blind French girl, and Werner, a German boy with a talent for radios. Marie-Laure lives with her father in Paris. Blind since the age of six, her father builds her scale models their environs so she can learn how to navigate the streets. Eventually they have to flee and end up in Saint-Malo. Meanwhile, Werner’s technical abilities and expertise cause him to get involved with the Hitler Youth. Their paths cross and become intertwined when the Nazis come to Saint-Malo. 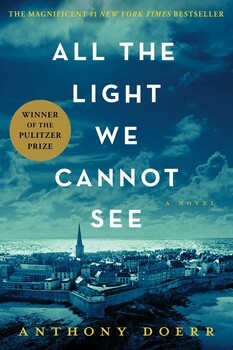 This entry was posted in summer reading and tagged all the light we cannot see, anthony doerr, fiction, historical novels. Bookmark the permalink.